Family: We are one, and we are many. With a lot to think about I thought I could seek the advice of a good friend named Timoti Moran, who we at Maui Studios know as Tohunga Timoti of the Taniwha Taonga realm. Here we are depicted at our first meeting at his secluded whare in the hidden hills near Whakatu. It is always inspiring to spend time with Tim as he is the perfect example of a creative mind. He is guided by his dreams, and the environment around to discover treasures hidden in the awa he has now been tasked with guarding. He toils away at his mahi producing some amazing pieces that he offers to heal rifts between iwi, and inspires and enhance the wairua of those he makes them for. After spending some time with him he and Madison revealed two amazing pieces of pounamu that very crafted from the same rock that revealed a deep and dark pounamu within. They depicted the story of the vastness of the mind reflecting the infinites of space, and the infinite possibilities found out in the realms of Rehua the Atua of great healing and immortality. He'd found and crafted these taonga into a piece each for my wahine and I. The moment I received these taonga I was reminded of our initial thinking from the first korero we had together for Waioratanga, for this gift nourished my wairua and brought me to a place of spiritual wellbeing. Not only for the friendship bond that had been strengthened but for the spiritual wellbeing of my partner and I. This is what Waiora means to me. It speaks to our thinking of Family: We are one, and we are many. I wanted people that spend time under the guidance of Te Waioratanga to feel this way. This time with Timoti had me thinking about the inherent wisdom in Te Ao Maori, and the wairua of Taonga. We continued on our journey, Tim stopped me to leave me with the book Kura Koiwi. This is a book of the craftmanship of Taonga and reading it reminded me of the gift brought for me called Mauri Ora. These were the next steps in my path. Kura Koiwi introduced me to the concept of Ira Tangata ( Physical Realm) and Ira Atua ( Spirit Realm) . These concepts are very effective when applied to the wearing and design of carved taonga. Ira Tangata refers to the physical material of the Taonga itself, this means, the specific material that the Taonga is made out of and the forms and shapes that make that Taonga special. This is not a new concept but when coupled with the meanings of Ira Atua we are brought to a whole new level of understanding. Ira Atua refers to the gaps in-between the Physical Taonga, it refers to the non physical space that makes up the Taonga, where the Taonga is not seen. This is really special as this space is the absence of the physical Taonga, it is nothing and is therefore a window into the essence of the spirit of the taonga, the wearer. We see passed the physical Taonga and see the person wearing it. This concept completes the relationship between Ira Tangata and Ira Atua and creates a story of balance and unity that bridges both realms of Te Ao Maori. 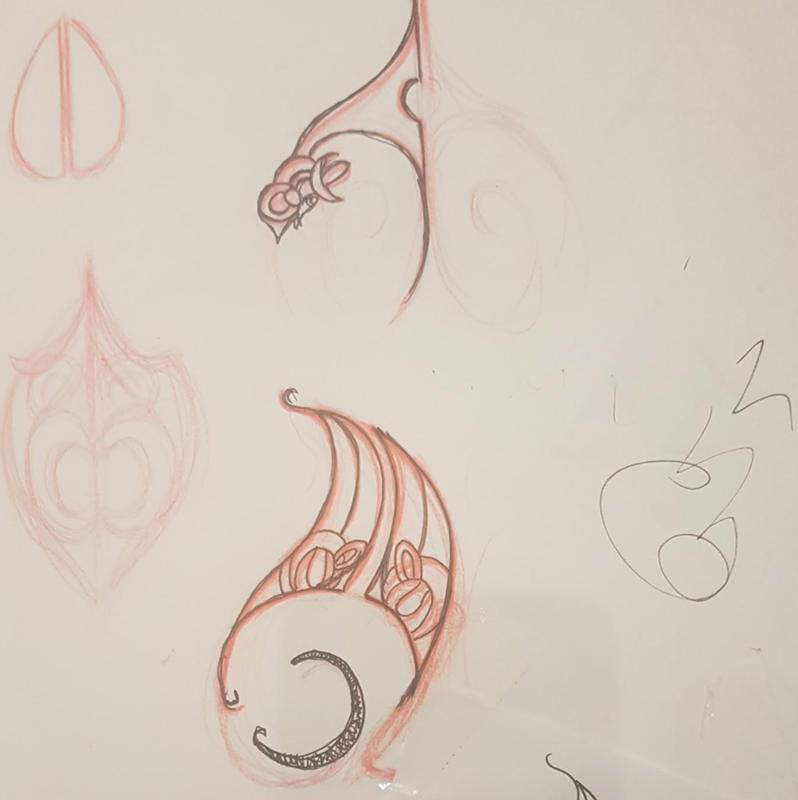 I wanted to incorporate this thinking into my design for Te Waioratanga, and combine and integrate it into the symbology and ideas discussed at the top of this page. "Some other key insights came from the Mauri Ora Book - Wisdom from the Māori World. I feel this text fit perfectly with the Whakaaro shared in the beginning about Balance. With a good feeling of the kaupapa I could begin sketching out rough ideas. 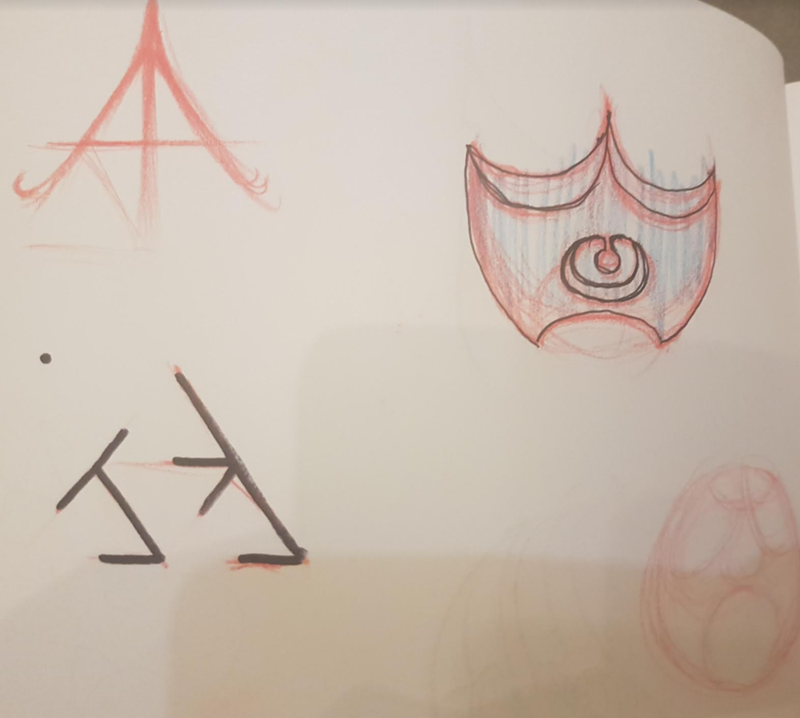 These ideas gave root to a way of including the letter 'W' in Waioratanga. I explored how the letter could be used as the Maunga depicted above, and different ways we could show the relationship with the stream and flowing down to the ocean. After many iterations I landed at this symbol, depicting a looping Maunga shape. That fits the ideas of the maunga, connecting to the stream, and down and out to the ocean. The left side could depict Ira Tangata and the right could depict Ira Atua. The centre would represent the wairua of the wearer ( in the initials stages ) as this part was see through. 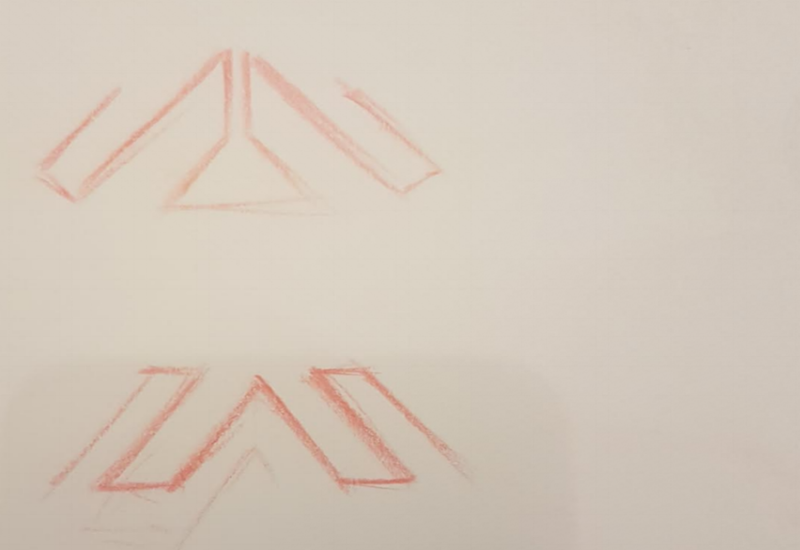 This symbol needed to be explored more, so I had more of a jam. The idea now depicts, a flow from the mountain across and down the stream, toward the ocean in the form of a manaia that represents the guidance and guardianship of whanau offered by Te Waioratanga. This energy swaps through into Ira Atua where a puhoro of energy and movement is brought about by Te Waioratanga staff. It stirs upward toward the top of the Maunga, and the heavens of Te Ao Maori where their is Spiritual Wellbeing and Calm and Clarity. The idea and design of the Manaia continues to be developed. This symbol has opened up a whole new series of thinking, colours, ideas and shapes to consider.